The European consortium consisting of Snam (60%), Enagás (20%) and Fluxys (20%) signed today in Athens the agreements with the Hellenic Republic Asset Development Fund (HRADF) and Hellenic Petroleum for the acquisition of a 66% interest in DESFA, the national operator in the natural gas infrastructure sector. The signing took place during a ceremony attended, among others, by the Greek Environment & Energy Minister Giorgos Stathakis, the CEO of Snam Marco Alverà, the CEO of Enagás Marcelino Oreja and the CCO of Fluxys Arno Büx. The consortium was awarded in April the tender for the privatization of DESFA on the basis of an offer of 535 million euros. Today's contracts were signed following authorizations received in recent days by the European Commission and the Hellenic Court of Audit. The completion of the transaction, expected by the end of the year, is subject inter alia to the finalization of the internal reorganization aimed at HRADF and Hellenic Petroleum becoming direct shareholders of DESFA – which is currently held through DEPA – and to the certification of DESFA under the ownership unbundling regime by the Greek regulator RAE. DESFA owns and operates, under a regulated regime, a high pressure transport network of about 1,500 km, as well as a LNG regasification terminal at Revithoussa. 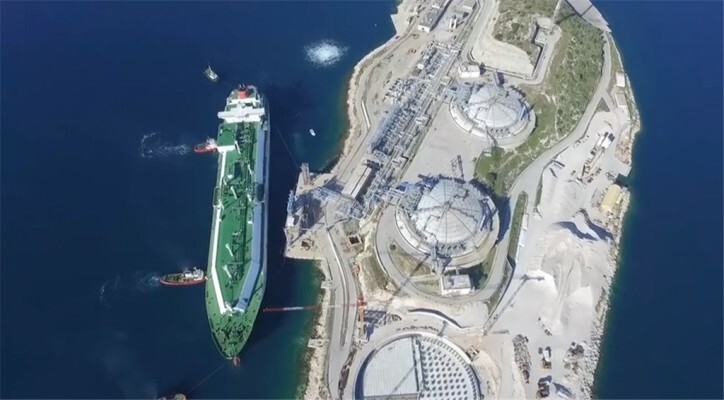 Greece is an important crossroads for the diversification of gas supplies as well as the opening of new natural gas routes in Europe and may additionally develop as a gas hub for south-eastern Europe. Thanks to the support of Snam, Enagás and Fluxys - the three European infrastructural companies most involved in the creation of the Energy Union - DESFA will be able to fully exploit its strategic position in the Mediterranean. The consortium will also promote innovative uses and new sources of natural gas in Greece to further contribute to the sustainable growth of the natural gas market, the economic development of the country and make a contribution to the country’s emission reduction process. The consortium has secured a > 10-year non-recourse acquisition financing corresponding to approximately 65% of the enterprise value. The financing is subject to documentation and closing is expected to occur in the next few weeks. Marco Alverà, CEO of Snam, commented: “Snam is ready to work with its partners to accelerate the growth of DESFA and the development of Greece’s infrastructure so that the country can have a key role in the realization of an increasingly integrated, secure and sustainable European energy system, which will benefit Greek and European consumers”. Marcelino Oreja, CEO of Enagás, stated that “being part of this consortium is a unique opportunity for us to contribute our know-how as TSO, together with the Greek expertise, to the security of supply and the energy transition in Europe. Greece is a strategic country for these purposes and its gas infrastructures are key to supporting a decarbonized economy and a progressing true common energy market within Europe. With today's signing, we are a step closer to this being a reality”.